The 37 Copa del Rey MAPFRE will be remembered for its record fleet of 152 yachts representing 29 different countries. Thirteen classes raced and for the first time ever five different race areas had to be employed. It marked the first ever participation for the Melges 40 swing keel one design and for the historic Six Metre fleets which raced in Classic and Modern divisions. It was a constituent regatta of the Swan Nations Mediterranean Trophy, the GC32 Racing Tour and the Melges 40 Grand Prix series. HM King Felipe VI, who represented Spain at the 1992 Barcelona Olympics in the Soling, raced every day as well as practising last Sunday on the ClubSwan 50 Aifos 500, finishing sixth. It marked the 11th Copa del Rey title for Mr Copa, Pedro Campos who won the Six Metre Classic division on Bribon, his sixth title in a row. Today the Club Swan 50 title decider between German owners Hendrik Brandis and Sönke Meier went to the final pair of races today with their Earlybird and NiRaMo teams which are both brimful of talent. On Earlybird four times Olympic medal winning German hero Jochen Schümann with Spain’s America’s Cup winning sail designer Juan Meseguer, on NiRaMo Jesper Bank, three times Olympic medallist, two America’s Cup winner and Volvo racer Piet van Niekerk with fellow Brunel Volvo crew Jens Dolmer. 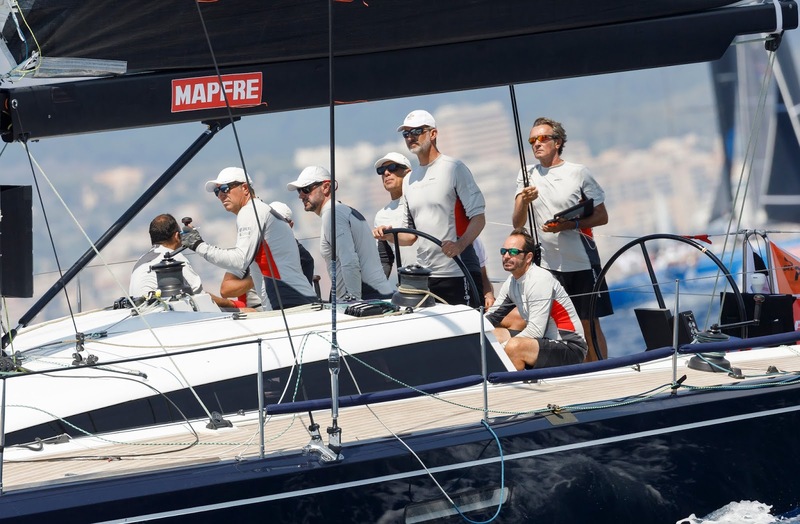 Title holders from last year, the first regatta for the nascent ClubSwan 50, Earlybird went in to the Saturday Copa del Rey showdown with a lead of just one point. But when the pressure was on in today’s scorching hot conditions and light sea breezes, Earlybird delivered two text book wins, leading across the finish line in Races 10 and 11 to win by five clear points. Experience and success together as a team paid a dividend for Earlybird, the core crew of whom have been together for 15 years. 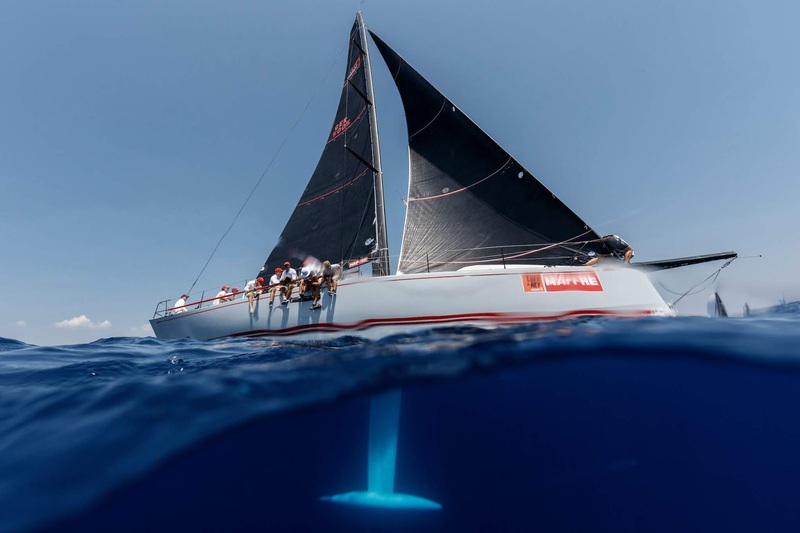 They won Copa del Rey twice in the Swan 45 class before becoming the first team to move to the ClubSwan 50 and now they have won the new class Copa del Rey title twice in a row also. Skipper-helm Hendrik Brandis was relieved and delighted, not least to clinch the title with two wins “Sometimes, and it is very seldom, you feel like you maybe could walk on water and today was one of those days.” Winning owner Brandis joked on the dock when Norwegian owner Petter Murren came to congratulate him. “I am proud that we made it. We have been beaten twice by one second this week and once we made it by one second and so it is extremely close one design racing. Consistency won for us. We did not make any major mistakes in a long series. We have been sailing together for nearly 15 years and that helps avoid big mistakes.” The Earylbird owner concluded. The biggest and most raucous celebrations on the race dock at the Real Club Nautico de Palma was that for Estrella Damm, stars today of the regatta’s biggest fleet, the 23 boat strong BMW ORC Class 1. The DK46 of Nacho Montes and Oscar Chaves is raced by some of Spain’s best known sailors, Luis Doreste Martinez steering, Gonzalo Infante navigating and Pichu Torcida as tactician. They were up against the five times Copa del Rey winning Swan 45 Rats on Fire steered by five times J/80 World Champion Rayco Tabares. Just as Earlybird thrived under pressure so did Estrella Damm who went 1,2 to also win by five points ahead of their nemesis. For Estrella Damm’s winners Nacho Montes and brothers Paco and Arturo, sailing with cousins Nacho Morube and Nacho Lamadrid, the win comes 20 years exactly after they won the overall Copa del Rey Movistar MAPFRE in 1998 on Estrella Damm, a Beneteau 40.7. “It is very important to win the Copa del Rey and so we are very happy. We started and had to be in front of them and we did that and then it was OK,” explained bowman Aleix Gelabert. Prada America’s Cup team helm Francesco Bruni helped guide Alessandro Rombelli’s Stig back to winning ways in the Melges 40 class, finishing with a 1,2,2 flourish to win the Melges Grand Prix event by six points. Stig won two events last year and now three boats – Stig, Sikon and Inga from Sweden have won major Melges regattas. “It has been a great week. We started well and sailed fast all week. We all sailed well and so it was a very consistent week.” Commented Bruni. In the GC32 Cup series it is Sir Ben Ainslie’s Team INEOS UK which won the flying catamaran class, triumphing by nine points over Franck Cammas’ America’s Cup Norauto team in second. The MRW Swan 45 was won by K-Force while Pez d’Abril took the overall victory in the ClubSwan 42. Hugo Steinbeck’s Sophie Racing have lead the 6 Metre Modern class all the way through the week and closed out the first Copa del Rey title today for the modern fleet. 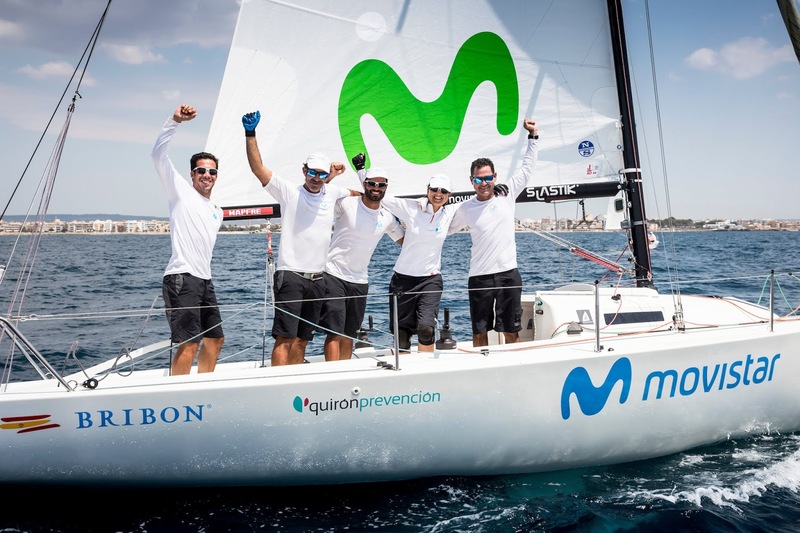 Champions in 2017 Bribon Movistar retain the Herbalife Nutrition J/80 class title again, while the X41 of Javier Banderas wins BMW ORC Class 2 and ORC Class 3 is won by the SInergia 40 L’Immens-Laplaza Assessors. … up to 13 entries. … up to 10 entries. … up to 5 entries. … up to 11 entries. … up to 8 entries. … up to 23 entries. … up to 12 entries. … up to 30 entries. … up to 19 entries. … up to 7 entries.